Looking for festive plants to add to your holiday décor? Consider adding these ten popular Christmas houseplants to your collection. Winter is a time when a lot of the color of the outdoor world has faded away. The leaves have fallen and white snow and grey skies are becoming more frequent. Winter is also a time of happiness and cheer; a time that you spend with your loved ones. Having festive plants in your home is a great way to brighten the atmosphere and bring a feeling of love, laughter, and joy to your Christmas gathering. This article will touch on some of the most popular Christmas houseplants and give you a few tips to help you properly care for these plants. Many of the Christmas houseplants that we will be discussing on this list are tropical plants, which means that they will not do well in cold weather. Any amount of cold can begin a downhill spiral that will end in the death of the plant, so it is imperative to cover the foliage and keep the plant safe from the cold air as you bring it home from the store. Also, be aware of where the plant is positioned in the store. If it’s next to a drafty door, chances are that the plant may have already been fatally damaged. Once you get the plant home, you need to position it in a location that maintains a consistent temperature. Tropical plants do not do well with a lot of fluctuation, so make sure that drafts do not reach its leaves. In addition, placing a Christmas plant on the mantle of your fireplace or near another heat source could dry out the soil and cause stress to the plant. Remember that these plants do not require a lot of water, so do not water them until the top of the soil appears dry to the touch. 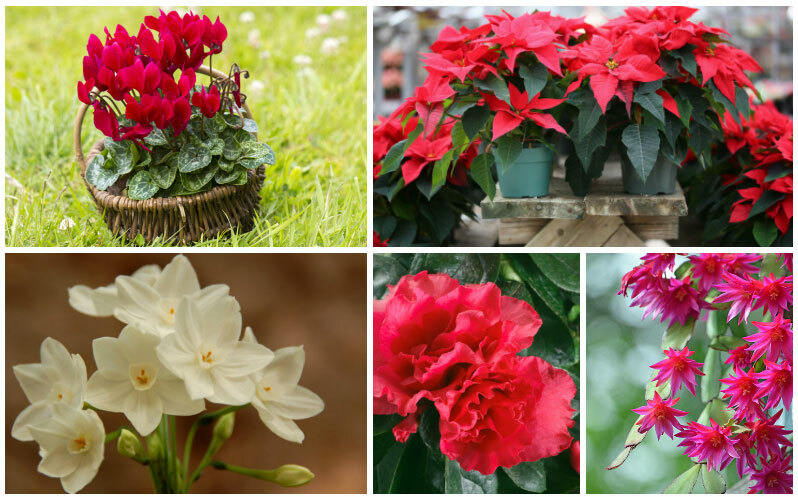 Let’s take a look at some of the popular Christmas houseplants that you will adore this season. A poinsettia is a pointed red flower that is often associated with the Christmas season. It is most commonly seen in red, but this plant can also bloom in shades of pink and soft yellow. Since these tropical plants are forced to bloom during the holiday season, they need a little bit of extra care to get the plants to re-bloom. They grow best in direct sunlight and humid temperatures that remain between 65 and 75 degrees Fahrenheit. 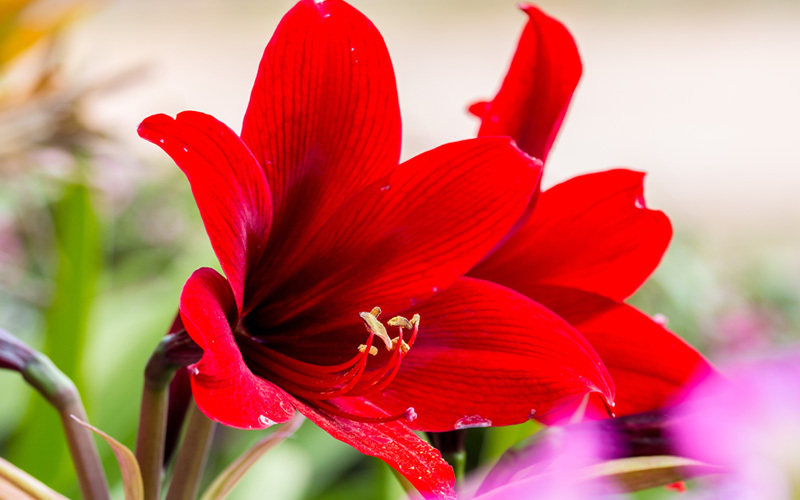 Amaryllis is a plant that has been seen in homes around Christmas time more and more each year. The bell-shaped blooms are often beautiful shades of red that create a welcoming warmth in your home. Since these lovely plants are tropical, they do require relatively warm temperatures and humidity in the air. 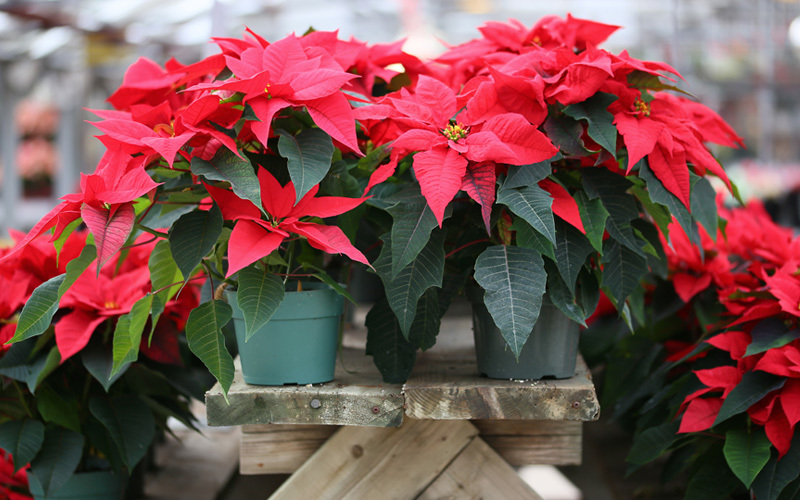 This is a plant that requires bright sunlight, but it should not be placed in direct sunlight though because this can hinder the bloom and result in a lack of color for your Christmas gathering. 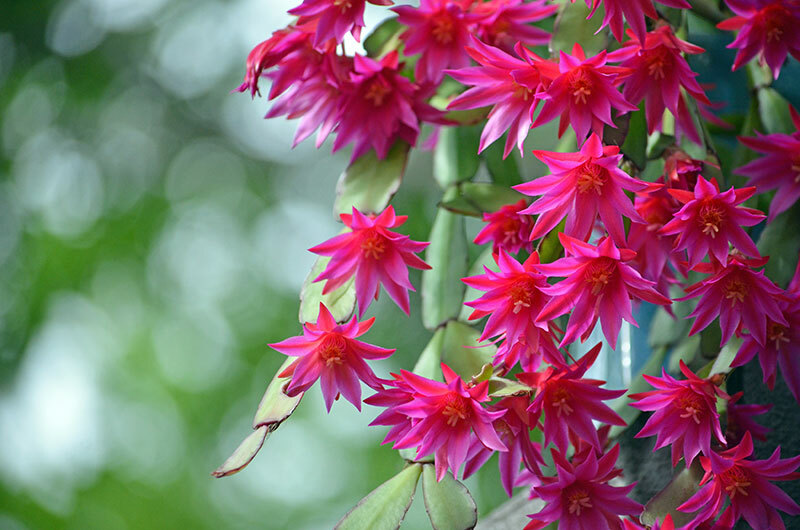 Christmas cactus is a tropical plant that originates in the tropical rainforests of southern Brazil. The flat, segmented stems of the plant remain green the majority of the year, but around the holidays, colorful red, orange, pink, purple, and white blooms form. 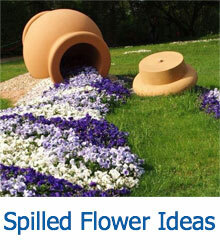 They grow best with moist soil and a lot of indirect sunlight. If you want to ensure that your Christmas cactus will bloom during the holiday season, then be sure to provide the plant with 12 hours of darkness each night for six to eight weeks before Christmas. 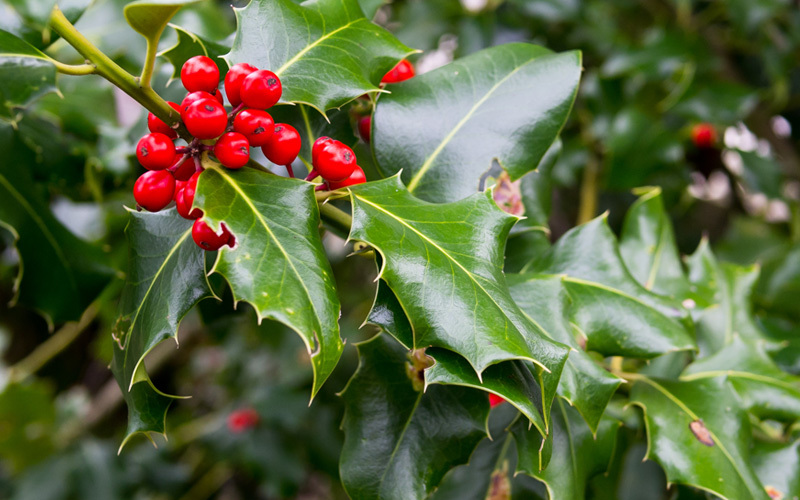 Holly has been a part of the holiday season since it became part of the classic Christmas carol “Deck the Halls” nearly 150 years ago, but holly and berries have been a favorite to brighten the desolate winter since ancient times. The holly shrubs that we all know as traditional Christmas plants have pointed leaves, red berries, and small white blooms. Holly is a plant that requires full sun and well-drained soil that is a bit on the acidic side to grow properly. 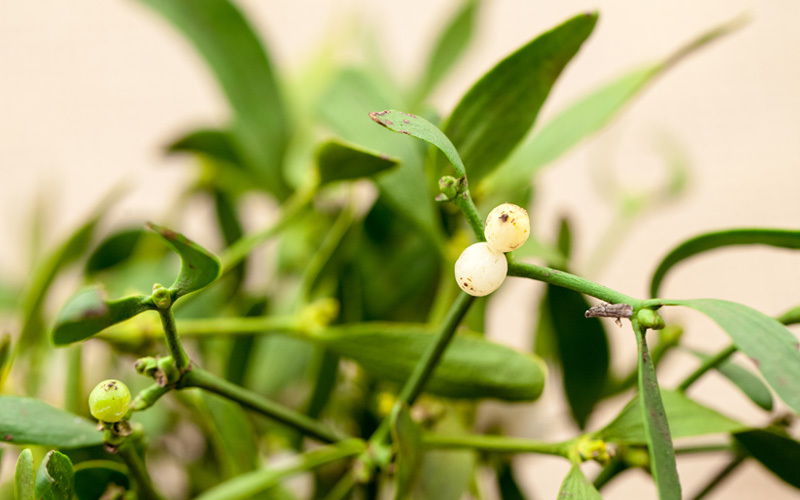 Mistletoe is a symbol of love that we typically hang in our homes during the holiday season, but this plant is actually a parasitic plant, so growing it indoors means that you will need a host for the mistletoe to grow. Seeding can occur in soil, but once roots form, the plant will need to be placed in a host tree’s bark. It will take about four years for a mistletoe plant to mature, and male plants will not produce white berries. 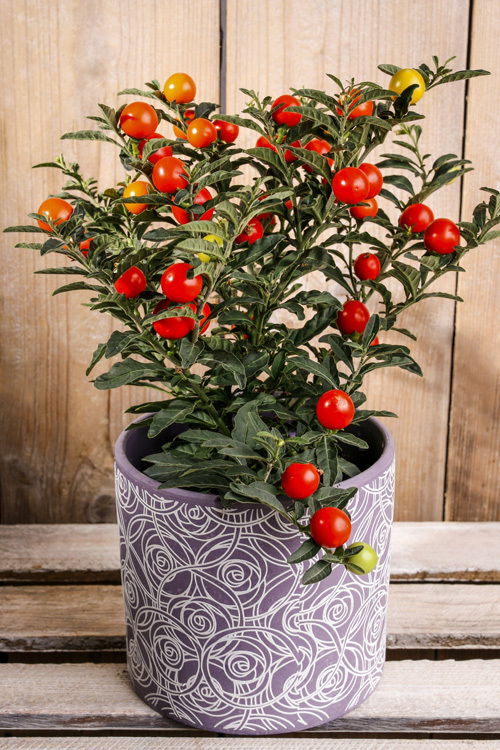 This is a delightful plant that stems from the Mediterranean. 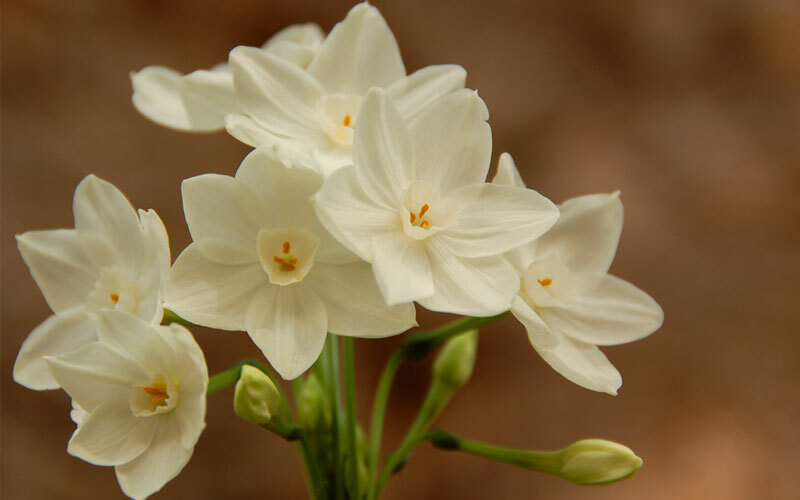 It is a close relative of the daffodil, and it is also a plant that creates bell-shaped blooms that are extremely fragrant and perfect for your home during the holiday season. The stalks of this houseplant are typically about a foot to a foot and a half in height, and the blooms are star-shaped delicacies that are pure white in color. 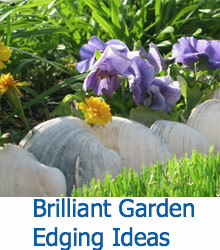 The blooms can be yellow or orange, but these varieties are often more rare. 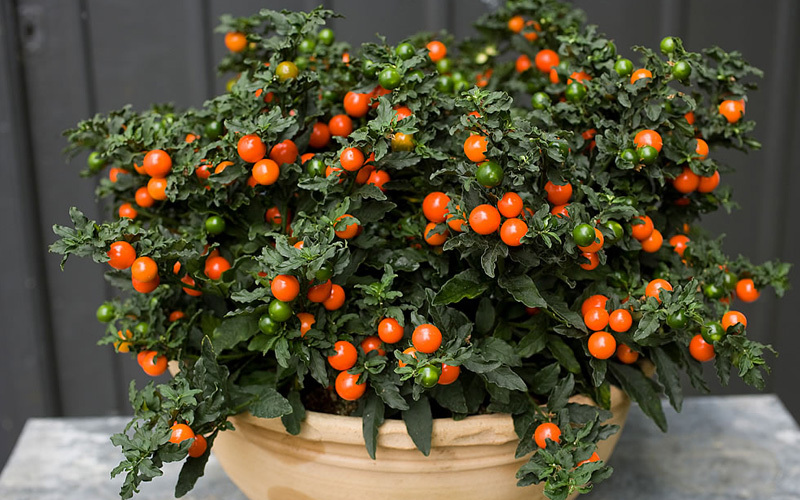 Winter cherry is a plant that blooms small white flowers in the summer, but they are mostly known for their tomato-like berries that can be seen near the Christmas holiday season. The longer the berries are on the stem, the redder they will become. These plants adore bright sunlight, but nothing that is too direct. They also need relatively cool temperatures, but nothing too drafty. In addition, this plant is also toxic so be careful if pets or small children are in your home. The Christmas berry is a shrub that can be found along most of the California coast. The leaves of the plant are dark and glossy, and star-shaped flowers that are white and beautiful are produced in the summer months. During the winter season, the plant will yield fruits that are plump and red. The plant requires several hours of direct sunlight a day, and it also prefers to grow in warm temperatures with a high level of humidity. 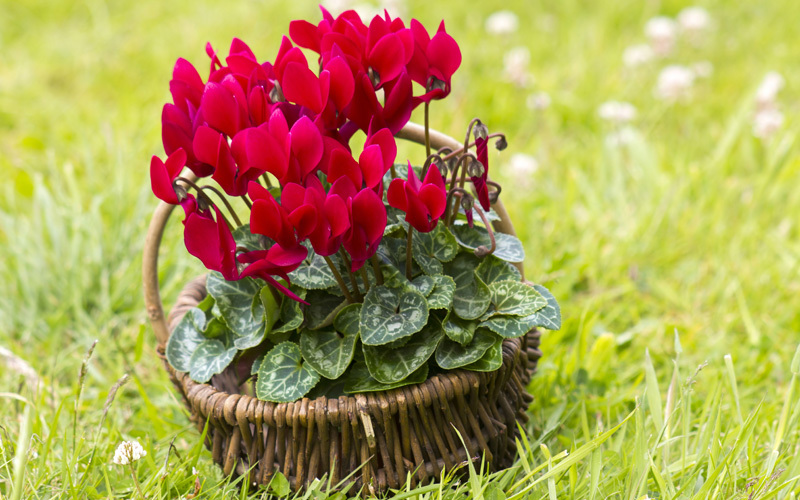 Cyclamens plants are lovely Christmas plants that make your home feel more festive. It is a plant that originates from Europe and the Mediterranean area, and the blooms are often delightful shades of red that match the rest of your holiday décor. This plant is very particular when it comes to the temperature; in fact, temperatures below 40 degrees Fahrenheit or above 50 degrees Fahrenheit during the night or 68 degrees Fahrenheit are not tolerated at all. 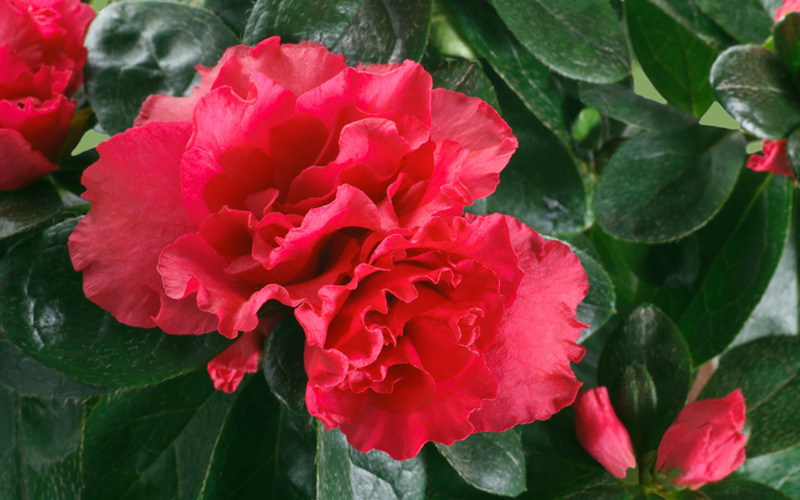 Azaleas are evergreen shrubs that produce bright red blooms that vary in hue. The plant is loved during the holiday season because it blooms during the winter months and continues into early spring. 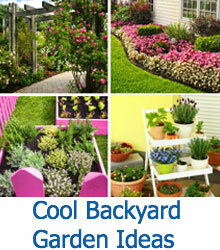 It is not a plant that likes a lot of direct sunlight; in fact, it actually likes to grow in partial shade conditions. This plant enjoys relatively cool temperatures that do not rise above 68 degrees Fahrenheit, which is why it is such a great plant to have in your home during the winter months. Amazing How This Family Grows 6,000 lbs Of Food on Just 1/10th Acre!